When I first walked past this bookshop, I was immediately attracted by the lovely, bright and colourful window display. Through the miserable “summer” weather, the display was so sunny and cheerful, I could almost imagine myself away and on a hot beach. The display had a distinctly beachy and local theme going on, with the exception of Fifty Shades of Grey, of course, which I can’t seem to escape at the moment. One window was dedicated to a children’s book called Cornish Tales which looked very good. It’s a shame I went home before the book signing! 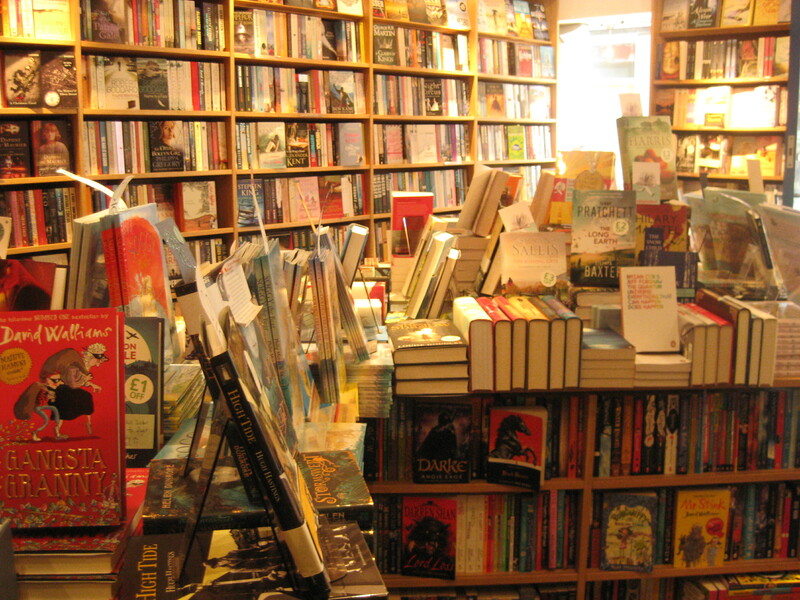 On the first day, the bookshop was so busy, that I decided to come back at a different time. Luckily, when I returned, I had the shop almost to myself, so I got a real chance to explore it. Although only small, there are a lot of books! I was particularly impressed with the table displays which were absolutely crammed with books and yet still managed to look neat and tidy. What I found particularly charming was the extra effort the booksellers were willing to go to. Most of the books had a handwritten note peeking out from the pages, or folded over the front cover with a brief explanation of the book. This sort of thing is what makes a bookshop. Lots of books were also signed, so obviously it’s a favourite stop off for authors! 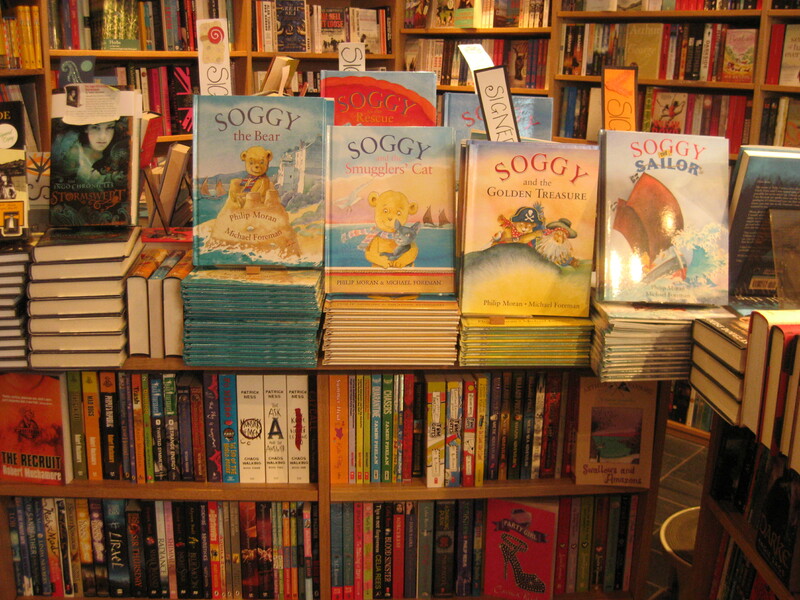 The displays were filled with fun, beachy books with a large amount of wonderful looking children’s books – I particularly liked the pirate books! 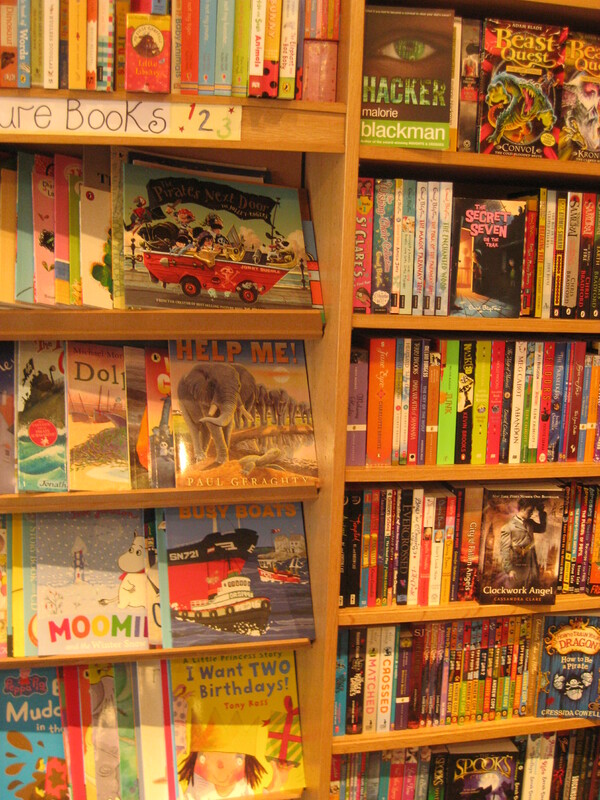 The children’s section was filled with all the popular favourites and catered for little ones, right up to young adults. But there was plenty on offer other than kid’s books. I found everything from current best sellers and new releases, to old favourites, and a good collection from one of my favourite authors; Daphne du Maurier, who is famous for writing about Cornwall. 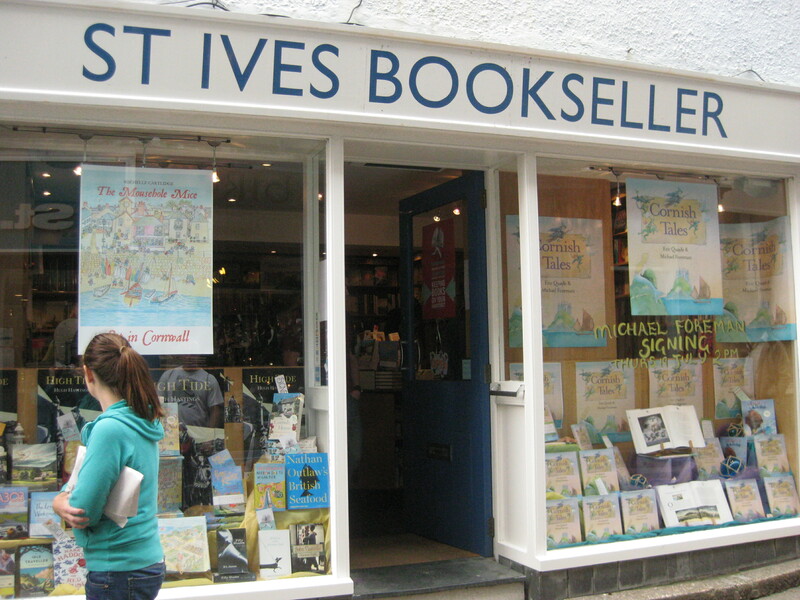 You can find this beautiful bookshop here: 2 Fore Street, St Ives, Cornwall, TR26 1AB (tel: 01736 796676). Take a look at their website too for more pictures and events! the absence of fifty shades of grey is relieving. Yes, this was definitely my favourite thing about the shop! It felt like I was in good hands! Looks heavenly. How do you leave with just one? Books and bookshelves do have a really calming effect don’t they? 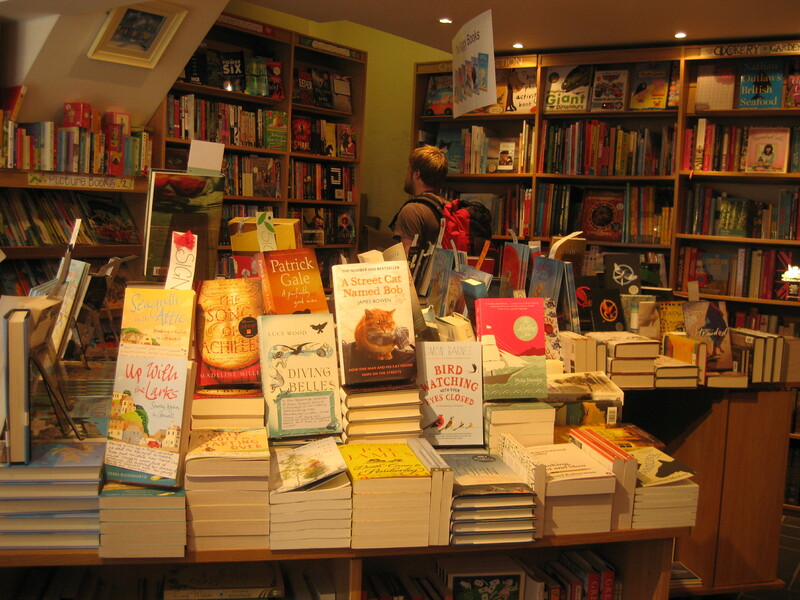 If I’m ever feeling a bit angry in town, I always head to the bookshop, even if I don’t plan on buying anything. It always makes me feel better! Sounds and looks fab in your photos! 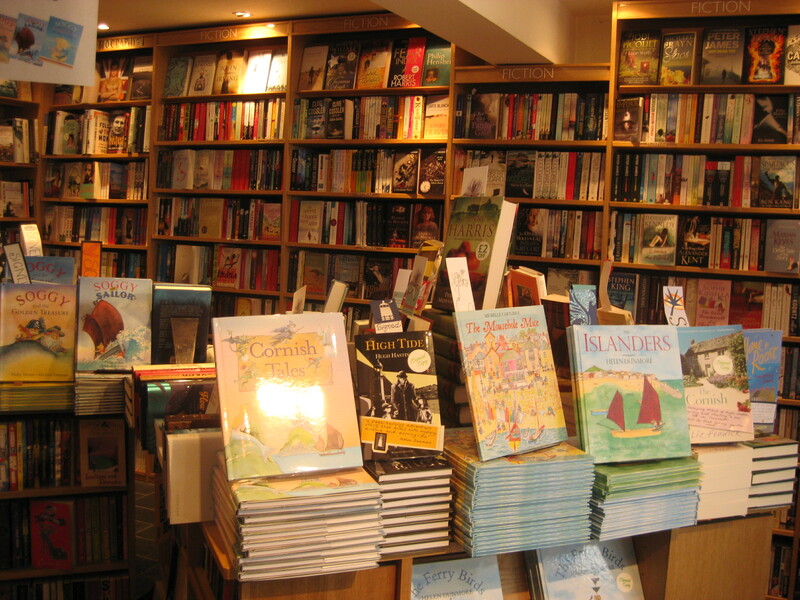 I love how every shelf and table is crammed full of books-lovely!